Lots and lots of different prints will give you an interesting 1930s-looking quilt. You can even mix prints and plaids, or brights and pastels. 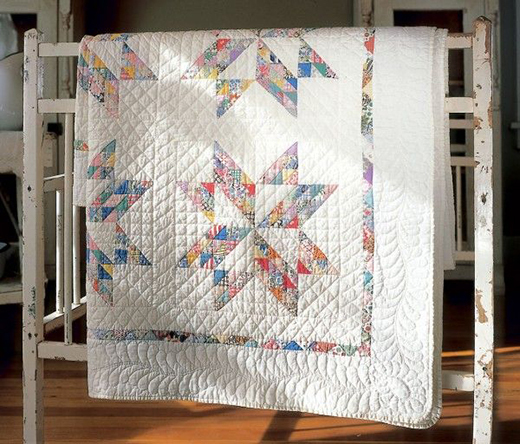 Only a bit of each print will show in the tiny triangle-shaped pieces of this quilt.